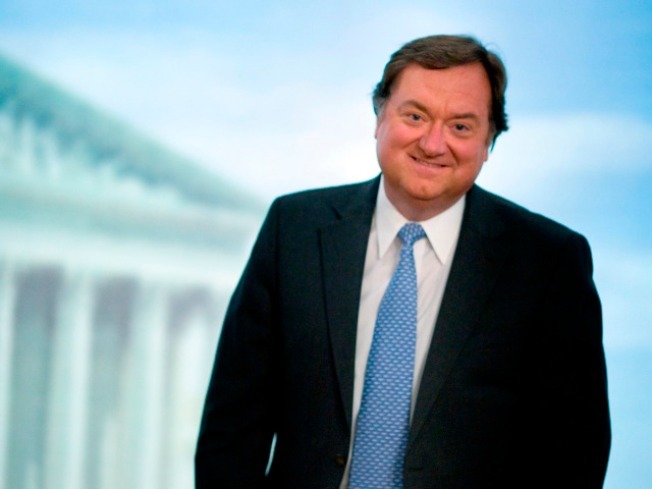 Tim Russert passed away on June 13, 2008. Longtime "Meet the Press" moderator Tim Russert's office, complete with Buffalo Bills pennants and a journalist's clutter, will go on display next month at the Newseum. The office will be reassembled to look as it did June 13, 2008, the day Russert died of a heart attack at age 58 while recording voiceovers for his next show at NBC's Washington bureau. The exhibit at the journalism museum opens Nov. 20 and will remain through 2010. "After Tim's death, it became very clear to us that Tim really hit a nerve with a wider swath of people than you would ordinarily think for a journalist," Charles Overby, the Newseum's chief executive, said Wednesday. He noted Edward R. Murrow is the only other journalist who gets such prominent treatment. "That shows the plateau on which we think Tim sits," he said. Russert, who served on the Newseum's board of directors, was bureau chief for NBC News in Washington and began hosting "Meet the Press" in 1991. His office was "very homey, very much reflects his wide array of interests," including politics, religion, family, music and his beloved Buffalo Bills, said Newseum exhibits director Cathy Trost. About 300 books filled Russert's bookshelves, next to Uncle Sam figures and autographed baseballs. Newspapers, magazines and research binders cluttered his desk. A drawing done by his son, Luke, at age 7 was close by. A wooden sign at the front of his desk carried a special message for his staff: "Thou Shalt Not Whine." "It ranges from the professional to the very personal," Trost said of the items to be displayed. NBC is donating the office furniture to the Newseum, and Russert's family is loaning the museum many of his belongings. Overby said visitors will probably be surprised by all of the nonpolitical things in Russert's office that showed he was a normal person. The exhibit also will include snippets of Russert's biography and career as a newsman that propelled "Meet the Press" to the top of the ratings. "There are many journalists in Washington who are respected," Overby said, "but not many who are both respected and liked across the country." The Newseum opened in a new home on Pennsylvania Avenue near the Capitol in 2008 and drew 700,000 visitors in its first year. A smaller Newseum in Arlington, Va., closed in 2002.